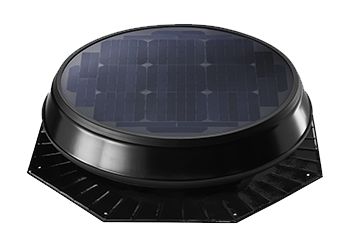 Solar Star Ventilation Fans unite advanced solar technologies with progressive designs to deliver exceptional power and performance. The result is a ventilation system that efficiently vents heat and moisture from your home that, when trapped, can damage your home and drive up energy costs. Your home stays cool and dry, giving you greater comfort and prolonging the life of your roof, all while saving energy and lowering your utility bills. Click on any product in the slider above to learn more about it! Control heat and moisture buildup in your home with Solar Star Ventilation Fans. Powered by the sun, they convert your passive vents into an active ventilation system that adds comfort to your home and prevents roof damage. Best of all, they cost nothing to run. A Solar Star Ventilation Fan solves these problems by removing excess heat, giving you a more comfortable interior and lower energy bills. A Solar Star Ventilation Fan prevents these issues by equalizing interior and exterior temperatures, safeguarding your home from the worst of winter. Amp up your venting power with our biggest fan. The Solar Star Ventilation Fan RM 2400 features a 35-watt solar panel that generates maximum energy for greater air movement. This aerodynamic design is perfect for locations with heavy snow loads. Meets Florida Building Code HVHZ (FL14826) as well as Texas Department of Insurance (RV-57). This sleek, unobtrusive design is for most pitched roof applications. Meets Florida Building Code (FL10884) and Texas Department of Insurance (RV-57). A great alternative for north-facing roofs when you need to improve exposure to the sun. For smaller homes, you may not need as much power. That’s where the Solar Star Ventilation Fan RM 1500 comes in. With a 16-watt solar panel, it creates just the right amount of airflow for efficient venting of heat and moisture. This aerodynamic design is perfect for locations with heavy snow loads. Meets Florida Building Code (FL10884) and HVHZ (FL14826) as well as Texas Department of Insurance (RV-57). 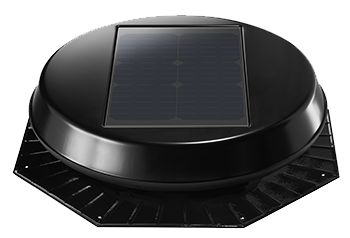 Designed to mount inside your attic, the Solar Star Ventilation Fan IM 1500 converts passive gable, dormer, powered and whirlybird vents into an active, solar-powered venting system. 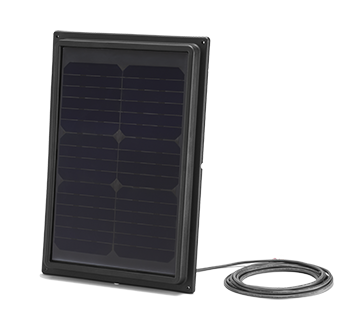 The 16-watt solar panel sits discreetly on your roof to maintain your home’s curb appeal. 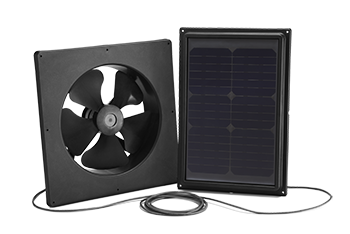 Maximize motor performance with Solar Star Temperature Controlled Ventilation Fans. Using a thermal switch, these models operate only when temperatures fall within a preset range. This minimizes motor wear and extends fan life. Available for all models. Want more out of your venting system? Solar Star Ventilation Fan add-ons maximize performance to ensure every inch of your home is properly vented. More power to you.